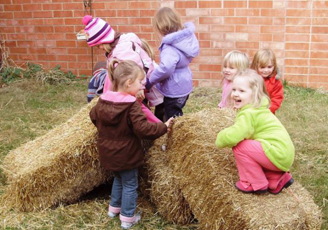 The creativity and ideas of many children, staff and community members make Regina Preschool’s Nature Explore Classroom a truly unique space. A few years ago, Regina Education Center made an addition to the school building which created a good sized courtyard surrounding a mature pine tree. Observing how this area had become just another place for the grounds crew to mow, they proposed the idea of a nature center. So began the design and construction of their beautiful Nature Explore Classroom. The large pine was gently pruned and now serves as a Quiet Area for little ones to hide away while resting on soft pine needles. Construction began slowly, focusing on a few key centers. 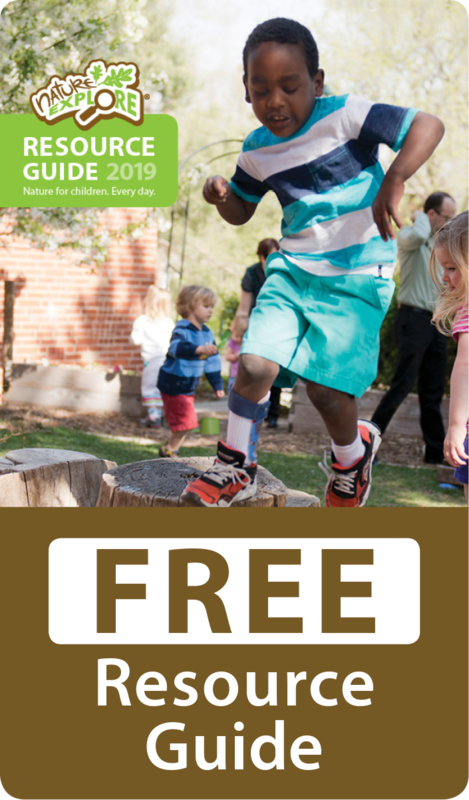 Through multiple Open House events, people became interested and excited about the prospects of their child having the opportunity to experience this new area on a regular basis. 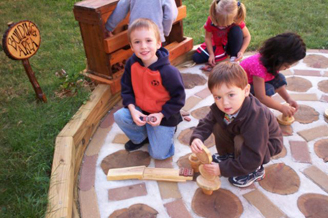 All areas of the classroom have developed into spaces for exploration and discovery. One very unique feature is the “Frog Log” which is a small stream through two hollowed out logs, spilling into a basin of an old oak tree. Surrounding the stream is a small collection of colorful and curious rocks, under a cache of river stone provided to touch and move about. A unique bell wall, complete with 10 bells, was donated by a generous community member. Unique elements are intertwined throughout the classroom. A great amount of thought went into durability, largely because those who were performing the construction were also involved in the planning. As they became more familiar with the construction materials, they realized how the projects are simply a collage of the heaviest of nature’s products. as much interest to a child as the overall garden plan. The site was personalized by adding all kinds of different grasses and wildflowers from natural Iowa, attempting to bring a wild feeling into the garden. The creativity and ideas of many children, staff and community members truly make the centers rich and interesting, each with their own special touch.